The 2018 Toyota Avalon is the automaker's flagship sedan, the larger, plusher brother to the Camry. Available with a V6 or as a high-mileage hybrid, the Avalon appeals to those who want a full-size sedan with presence, a roomy interior, impressive safety features and a ride quality that favors comfort over sportiness. If you're looking for a comfortable, full-size sedan with the latest features and a proven track record, all at a price that's only slightly above that of a well-equipped midsize sedan, the Avalon still holds plenty of appeal. The Avalon hybrid checks another box with its 40-mpg fuel economy. Toyota still hasn't embraced Apple CarPlay or Android Auto smartphone integration, so if you want either in your next vehicle, shop elsewhere. If you want V8 power or an all-wheel-drive full-size sedan, look to the Chrysler 300, Dodge Charger or Buick LaCrosse. After last year's update to include the Toyota Safety Sense-P (TSS-P) suite of driver assists, the Avalon carries over unchanged for 2018 except for variations to some trim names. For example, the former XLE Touring trim simply becomes Touring. Step inside the 2018 Avalon and two traits immediately stand out: The first is that it's roomy, and the second is that it's lush and sophisticated. Roominess is most apparent in the rear, where passengers have 39.2 inches of legroom, over an inch more than the Camry. The front seats are supportive and comfortable, and the armrest between driver and passenger provides good separation. The flush, angular central display and capacitive touch switches look high-tech, but are mercifully quite easy to use. At 16 cubic feet, the Avalon's trunk is huge, with hybrid models only losing 2 cubic feet to their battery. The 2018 Avalon's athletic stance and sculpted bodywork were conceived by Toyota's famed Southern California-based Calty Design studio. The forward-raked C-pillar and sweeping roofline impart an almost coupe-like silhouette. Although it seems counterintuitive, this aggressive design actually improves rear-seat headroom. The headlights incorporate a pair of stylish square-shaped projector lenses, which Toyota calls Quadrabeams. The massive maw that is the Avalon's grille will likely be a love-it-or-hate-it affair. The rest of this Toyota sedan's contemporary appeal is finished off with 17-inch or optional 18-inch alloy wheels, LED taillights and dual chrome-tipped exhaust outlets. The latest Avalon sedan hasn't strayed far from the formula that has worked so well for over two decades: Provide driver and passengers a comfortable, quiet, plush experience. While most at home on the highway, the Avalon is easy to handle in the city and confined settings; it feels smaller than its size suggests. Power from the V6 is impressive. While the all-new V6 Camry now has more horsepower, the Avalon remains strong. It smoothly and effortlessly accelerates on freeway onramps, and has good oomph for passing. A Sport mode quickens throttle response and stiffens the steering feel. The Avalon is no corner-carver, but the Touring model has its own suspension system that offers more athletic handling. Unlike the buttery 6-speed automatic of the standard model, the hybrid Avalon has a continuously variable transmission (CVT) that can drone but helps this full-size Toyota sedan achieve fuel economy equated with an economy car. The 2018 Avalon has a Manufacturer's Suggested Retail Price (MSRP) starting at $34,395, including destination, for an XLE model. Each successive trim is about $1,500 more. The top-line Avalon Limited is just over $42,000. The 2018 Toyota Avalon Hybrid starts at $38,395 and reaches $43,695 in top form. The Avalon starts higher than the base Chevy Impala, even when the Impala is optioned with the V6, engine. It is also higher than the Kia Cadenza, and slightly above the Nissan Maxima, Chrysler 300 and Buick LaCrosse. Before buying, do check the KBB.com Fair Purchase Price to see what others in your area are paying for their new Toyota sedan. While the Avalon has higher starting prices than competitors, it's predicted to hold its value better than most. In fact, it took second place in this year's Kelley Blue Book Best Resale Value Awards, only behind the Nissan Maxima in its segment. The Avalon sedan is offered in XLE, XLE Plus, XLE Premium, Touring and Limited trims with hybrid variants available in XLE Plus, XLE Premium and Limited. In base form, the Avalon includes the Toyota Safety Sense-P system (see Favorite Features), leather interior with heated and power-adjustable front seats, heated outside mirrors, rearview camera, smart-key access with push-button start, dual-zone climate control and a 7-inch infotainment system with AM/FM//HD Radio/CD player, Bluetooth connectivity and two USB inputs. While the Avalon can connect to iPhones and Android devices, it does not support Apple CarPlay or Android Auto, offering instead various apps and Siri Eyes Free. Options are mainly tied to trims, and stepping up to XLE Plus brings enhancements like a moonroof, auto-dimming rearview mirror and universal garage remote. XLE Premium trims include Toyota's Entune audio system with navigation, Qi-compatible wireless phone charging, driver's-seat memory and blind-spot monitoring. Avalon Touring models have a sportier suspension and 18-inch wheels, steering-wheel-mounted paddle shifters and LED headlights. The top-line Avalon Limited is loaded with perforated leather seats with heating and ventilation in front, power-operated rear window shade, high-intensity-discharge (HID) headlights, rear-seat climate controls and heated rear seats, rain-sensing windshield wipers, and JBL audio system. Take the badge off an Avalon, and you might think you're in a Lexus, Toyota's luxury brand. In addition to its velvety V6 and hushed ride, the Avalon coddles with leather interior, heated front seats and nice touches like wood-grain interior trim. Standard in every new Avalon is the Toyota Safety Sense-P suite. It includes an array of active-safety and driver-assist features such as pre-collision warning with automatic emergency braking, pedestrian detection, radar-based adaptive cruise control, automatic high beams and lane-departure alert with steering assist. The 2018 Toyota Avalon sedan gets its motivation from the tried-and-true 3.5-liter V6 or Atkinson-cycle 2.5-liter 4-cylinder hybrid powerplant. The conventional engine churns out a healthy 268 horsepower through a 6-speed automatic gearbox, while the hybrid system's 200 total horsepower is transmitted via a gearless continuously variable transmission. Similar to a Prius or Toyota Camry Hybrid, the Avalon Hybrid doesn't require you to plug the car in to charge it. The whole system is self-contained, self-managed and seamless. If not for the hybrid badges and slightly slower acceleration than the V6 model, many drivers might not even know it uses both a gasoline engine and an electric motor to move. All Avalons are front-wheel drive. All also feature Eco, Normal and Sport driving modes. The 2018 Toyota Avalon is the automaker's flagship sedan, the larger, plusher brother to the Camry. The Avalon appeals to those who want a full-size sedan with presence, a roomy interior, impressive safety features and a ride quality that favors comfort over athleticism. Unlike the Chevrolet Impala, the Avalon comes standard with a V6 engine, and it stands apart from sportier rivals like the Nissan Maxima and Dodge Charger with a hybrid version that attains up to 40 mpg. 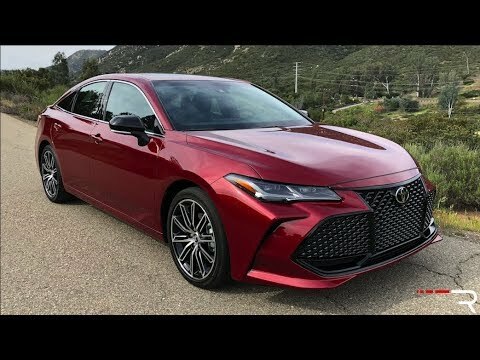 While facing the same headwinds as other rivals -- buyers favoring crossover SUVs to large sedans -- the 2018 Avalon remains among the best of its kind thanks to its reputation for reliability, efficiency and Lexus-like refinement at a Toyota price. The Avalon are great cars. The Avalon belongs to my husband; wonderful car. The color is beautiful. When you turn it on it's very quiet. Definitely a nice traveling car very roomy very dependable I love the car so much my father bought one the same day I have a dark grey and he bought the silver the only thing I can say is wonderful car. It compares to a luxury vehicle. At this point there are no problems with the vehicle. I am confident in the reliability of the vehicle. The vehicle has the most comfortable seats. I have driven it a long distance. All of the features on the Avalon xle premium are fantastic and very easy to use. The most important aspect of this car is that it's a Hybrid getting an estimated 44 miles per gallon both highway and city! The new 2018 Toyota Avalon is a site to behold, the reliability is first class and the options along with the gas mileage is incredible. the features include leather interior, GPS, sunroof for those sunny days and an exterior that is sleek and stylish.